What are the Benefits of Installing Interior Wall Panels? Wall panels have come a long way from the dated mid-century installations. Today’s wall panels offer a range of benefits, including high-tech materials, low-maintenance, and easy installations. Read on for five major benefits of installing wall panels in your home. Wood may be the most traditional material used for wall panels and the first one that comes to mind, but it’s certainly not the only one available. MDF is one of the most common composite materials, as it has the benefit of flexibility when it comes to multiple textures, designs, and patterns. Melamine is another common option that allows for some of the more innovative wall décor and high impact prints. Polyurethane panels provide a surface for some of the most advanced designs and materials on the market today. 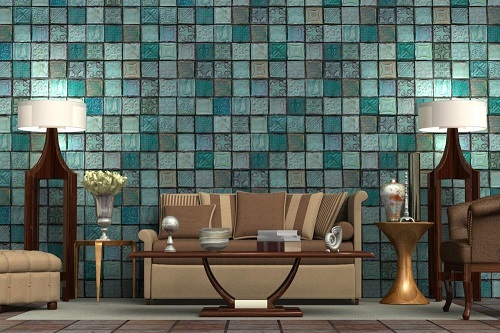 Options like Carrick Wall Paneling’s Aquatica Tile will add dimension to your space. You might be surprised to see that many contemporary wall panel designs are nothing like the darker wood options popular the 60’s and 70’s. When you’re shopping for wall paneling, you’ll have your pick from numerous patterns, many of which reflect natural wood grain. Others use faux materials to mimic limestone, granite, marble, stone, and even bark. You can even design custom panels printed with leather, snakeskin, or three-dimensional textures. With design choices this diverse, you can introduce a natural or high-end design aesthetic into your home without using labor intensive or high-cost materials. 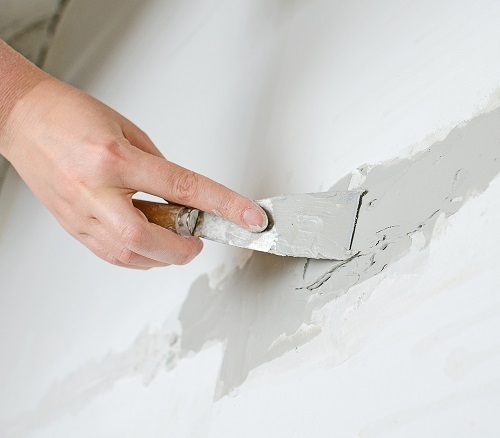 Wall paneling will protect your drywall, saving you time on patching holes. Wallpaper and basic painted walls may seem like simple solutions for your walls, but they often require continual maintenance. While both of these methods can attract scratches, marks, and indentations, wall panels actually resist impact. That means that with wall panels, you can rest easy without having to do frequent touch ups or wall repairs. Wall panels typically enjoy a long life, even with minimal upkeep. What isn’t obvious, though, is that they can also help to extend the life of your walls themselves. 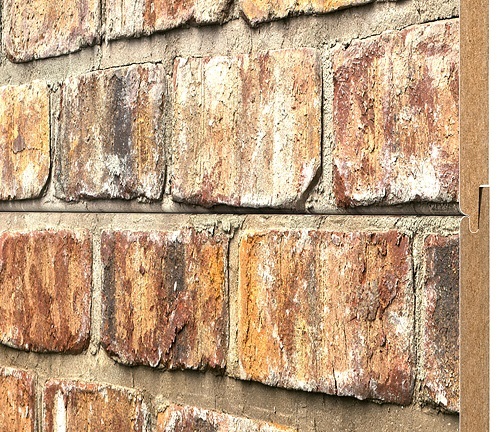 By protecting your walls from wear and tear, they ensure that important structural components of your home can live even longer. When it comes to wall panels, installation is much easier than it looks. In fact, unlike other types of wall decor materials, you don’t even have to worry about grout lines, exposed adhesive, or other remnants of installation. Many contemporary wall panels feature a tongue and groove system or clip and rail system, which makes installation almost as easy as fitting together the pieces of a puzzle. Wall panels even offer the extra benefit of concealing wires, cables, and built-in wall components that are better left unseen. With a few custom cuts and careful fitting, they can hide nearly anything. Though you can certainly hire a contractor if you’re pressed for time or feeling unsure, this is a project that average DIYers can easily take on. While there are no miracle solutions when it comes to home improvement, wall panels offer a range of benefits that make them a great option for room décor. From ample design options to impressive durability, wall panels provide both aesthetic and functional solutions for your home. Are you looking to add some flare to your walls? Browse our selection of innovative Wall Panels here. Find the right style for your space. 0 Did you find this article helpful? I am wondering if interior panels are suitable for basement placement. Thank you for your inquiry! The wall panels should work fine in the basement as long as you use a vapor barrier between the panel and any concrete surface. 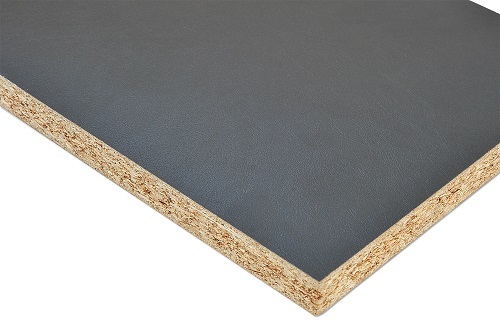 Most wall panels are made of high density fiberboard which will get damaged if there is too much moisture. Please let us know if you have any other questions! Can I purchase the rail and clip system seperately from the panels? Thank you for getting in touch! We would have to check some of the options from our website to see if that is possible. Can you please give us a call at 1-877-631-2845 and a product expert would be happy to check on those for you! Thank you for your inquiry! Unfortunately we do not have any wall paneling made for showers. Please let us know if you have any other questions! do you have wall panels for showers?